Wilmington. - In March The Clean Air Council, NAACP Delaware State Conference of Branches, A. Philip Randolph Institute, Delaware Audubon Society, Delaware Green Party, The Delaware Chapter of the Sierra Club, The Environmental Integrity Project, The Refinery Reform Campaign, and Clean Water Action Delaware called on Governor Ruth Ann Minner to hold to her promise to ensure the protection of workers at the Motiva Refinery and the surrounding community by shutting down the Refinery until Motiva can demonstrate that the refinery can be operated in a manner that is safe to workers, the public, and the environment. After the double March incidents in Delaware City the groups are calling on Governor Minner to honor her commitment made after the sulfur plant accident that resulted in the death of Jeffrey Davis and the injury of eight others in July 2001. Director of Clean Air Council's Delaware Office. "Environmental devastation and failure to take worker safety seriously cannot be treated as routine practice in the state of Delaware." "Motiva has had enough chances," said Eric Schaeffer, Director of The Environmental Integrity Project, and the former Director of the Environmental Protection Agency's Office of Regulatory Enforcement. "The State ought to close this plant until it can be safely operated." The two unrelated accidents on March 18th at the Motiva refinery in DelawareCity included a steam accident that sent two workers to the hospital where one is in critical condition. And in an unrelated incident, the Coker Unit broke down. This unit is one of the largest refining apparatuses at the Motiva facility. According to DNREC this breakdown sent a number of toxic and health threatening compounds into the air for several hours, including hydrogen cyanide, stabilized anhydrous, anhydrous ammonia, and hydrogen sulfide. Both of these incidents are just additional examples of the major accidents that have occurred recently at the Motiva Refinery. "Motiva apparently is running this refinery into the ground and endangering the health and safety of workers and their neighbors," said Denny Larson, National Refinery Reform Campaign. "We call upon the federal Chemical Safety Board to immediately send their investigators to this plant before it kills again." "The report from the Chemical Safety Board on the July 2001 accident listed 'an inadequate mechanical integrity management system to prevent and address safety and environmental hazards' as a root and contributing cause of that accident. This still seems to be the problem as illustrated by the 11 different accidents over the last month. Most were labeled as 'extremely hazardous' by DNREC," said Debbie Heaton, conservation Director of the Delaware Sierra Club. "Problems ranged from the CCR unit losing the hydrogen compressor, boiler problems, problems with flaring units, flange leaks, to blocked lines. This is not acceptable." After the July 17, 2001 Motiva accident that killed Jeffery Davis and injured eight other workers, Delaware Governor Ruth Anne Minner stated that she would shut down the refinery if another major incident occurred. Since that statement was made Motiva has been having accidents on a weekly basis at the refinery and this is the fourth major accident as outlined below. "Governor Minner years ago threatened to shut down the refinery if they did not change the reckless way they ran it, after killing Jeffrey Davis," said Matt Del Pizzo, President of Delaware Audubon Society . "Since then nothing has changed; Governor Minner has ultimately failed the people of Delaware in this matter. We are still waiting to see Motiva held accountable," continued Del Pizzo. 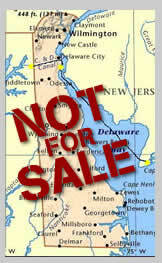 When are the sovereign people of Delaware and its representatives going to get FED UP enough to close Motiva down? Enough already," said Vincent Sottile, Spokesperson, Green Party Delaware. There is precedent for this type of shutdown. In the past DNREC has shut down Delaware businesses until they could demonstrate safe operation. In 1986, a Delaware judge ordered a six-week shutdown of a Formosa plant after a large vinyl chloride monomer release. "The refinery should remain idle until officials from the refinery can prove that they can operate it in a safe manner. If the refinery was shut down it would also give company officials time to replace worn out valves or parts that have been put on hold," said Del Pizzo. 1/21/04 - Fish clog cooling water intake pipes causing the release of smoke and pollutants. Secretary Hughes of the Department of Natural Resources and Environmental Control (DNREC) indicated : "We had a human health issue from the get-go." 01/17/2004 - A cooling water disruption caused a cut in production and air emissions when sulfur gases were burned in an open flare. 01/13/2004 - It is reported by DNREC that Carbon monoxide, hydrogen cyanide, dust, ammonia and other substances have been emitted from a faulty valve since at least Oct. 28. 11/15/2003 - Lack of cooling water causes damage to the crude refining unit and air pollution emissions after flares were used to burn sulfur wastes. 08/09/2003 - Breakdown of two tail gas units causes massive release of 78 tons of sulfur dioxide that sent Delawareans to the Emergency room and drew odor complaints from miles away. 05/04/2003 - 25,000 gallons of sulfuric acid and other chemicals were spilled at the refinery when a storage tank roof burst at the plant in an accident similar to the July 17, 2001 accident. 10/29/02 - The Boiler shutdown on 10/19/02 caused numerous subsequent pollution releases, including a major release on this date. 10/19/02 - A loss of steam at the refinery causes boiler breakdowns, forcing an emergency situation at the refinery where the facility had to work to avert the refinery from accidentally going offline and creating an "environmental crisis," according to DNREC staff.